Our Experience + Commitment = Results for You! Courtesy of Gary A Mercer, KW Greater West Chester. NEW. 4 bedroom single family home with 2 car detached garage available. Now is the time to customize! Spring 2019 delivery. The BRAND NEW Single will be located in a fantastic neighborhood, near downtown Conshohocken, convenient to major highways and train station. The interior will offer hardwood flooring and 9′ ceilings through the 1st floor, family room with fireplace, master bedroom with walk in closet and private bath, laundry room with gas dryer hook up, and designer kitchen with island stainless steel appliance package, granite counters, and designer lighting. Quality construction amenities will include Maintenance Free Siding & Stone Exteriors, Stylish Front Columns, Maintenance Free Rear Deck, Single Hung Low E Insulated Vinyl Windows, Insulated 6 Panel Entry Door, 50 Gallon Gas Hot Water Heater, and 2 System 95% High Efficiency Gas Heat, Central Air Conditioning System. See floor plan in photos as well as an exterior rendering. 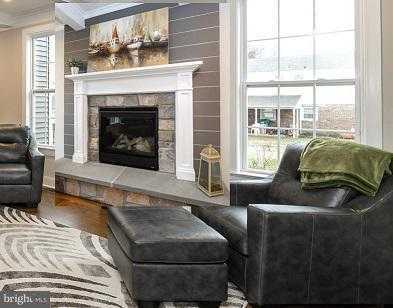 Interior photos of a similar home from this builder with similar finishes. 3 bedroom floor plan also available. © 2019 Albert Labrusciano. All Rights Reserved. Real Estate Website Design powered by Home Junction.